Are you interested in learning how young people deal with the current issues in their lives? And how they turn their concerns into movies? If the answer is yes, then you have to come to Pyrgos city and follow the Mythos Project teams. This is the place where cameras never stop rolling! Young people from all over Europe, participants of the 17th Olympia International Film Festival for children and young people and the 14th Camera Zizanio, are divided into multinational groups, in which they make short film in 5 days, through the help of their cameras, their computers and of course their imagination. The Mythos Project is not just a cinema workshop. 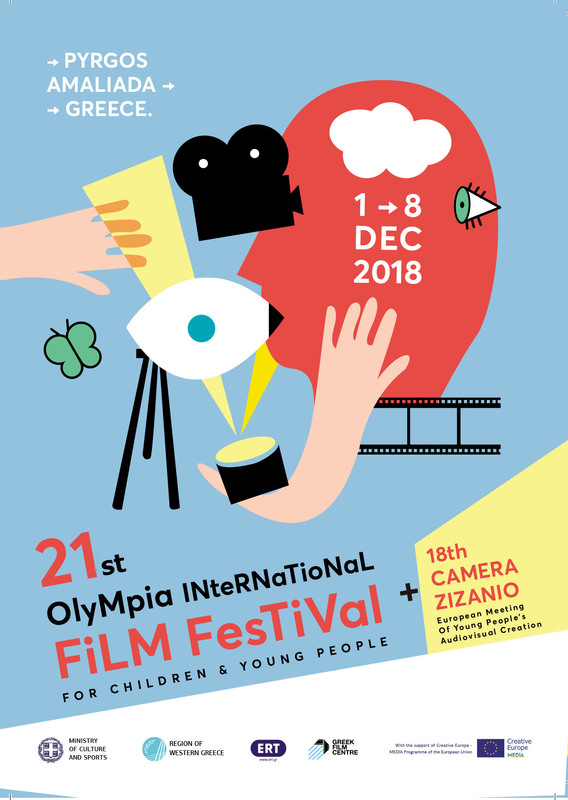 “This project is the most important meeting point of young cinematographers in Europe”, said cinema teacher Trudy Verkerk from The Netherlands. The general content of the Mythos Project films is young people’s perspective over the current financial crisis and its effects on our society. This year the films produced will be focused on immigration of any kind it is detected in societies nowadays. Maria Benteniti is the general coordinator of the Mythos Project. As far as the teams’ guidance is concerned, more than valuable is the help of the instructors from the NFFS Nationaal Film Festival voor Scholieren, coming from The Netherlands. There have been created more than 30 short films the last three years that the Mythos Project is being held, while most of them have been screened in Festivals abroad getting the best of the impressions. The Mythos Project’s blog, https://themythosproject.wordpress.com , has been created in order to help organizing the project’s activity and communication with those who are interested in it. There you can also find all the films that have been produced so far as well as news and updates for this year’s edition. We can’t wait for the 4th edition to start! Stay tuned for more.